Freyja, is both a goddess in Norse mythology, as well as a WordPress theme for all the bloggers out there. 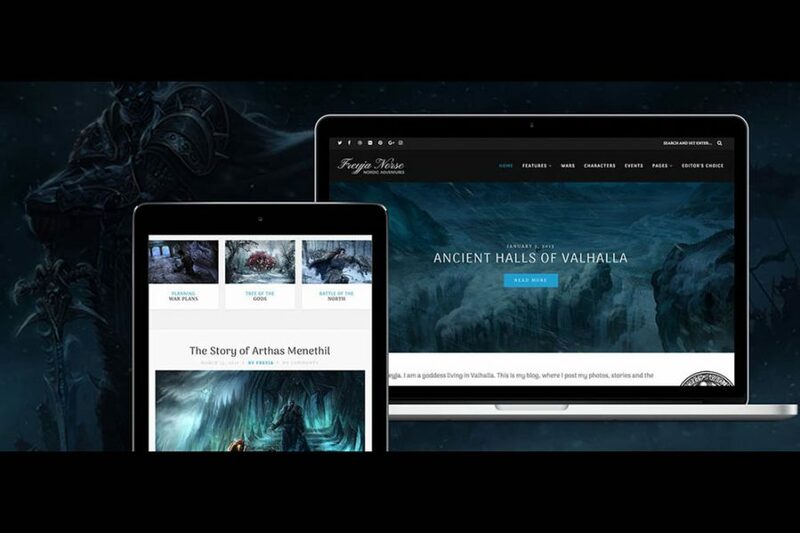 Whoever is interested in trying out something completely different or simply a huge fantasy enthusiast, this is the theme that will go against the grain and make your website stand out from the crowd. With its one-of-a-kind design, you will still be able to bring a great reading experience to your visitors. The font has a slight gothic touch to it, however, it allows fluent readability without causing any distractions. Bring your wicked imagination to life and benefit from all the features free WordPpress blog theme, Freyja, has in store for you.